There's a difference between dirt and soil. Dirt is what you wash off your hands. Soil is what you have in your garden. But soil is not just soil; there are many different types all over the world. 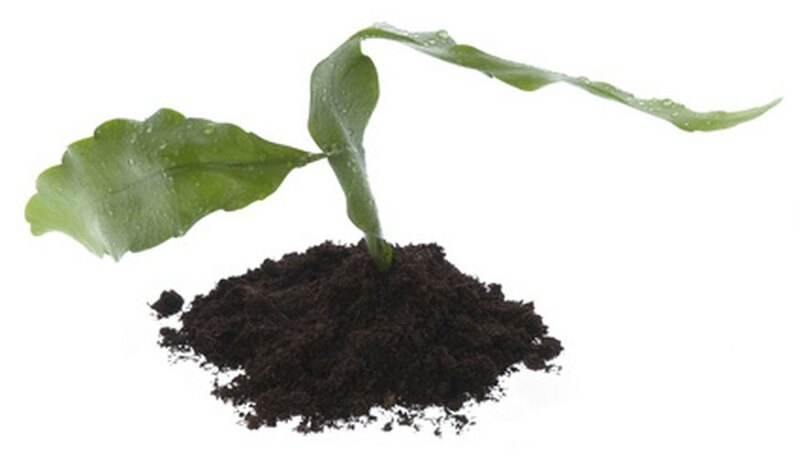 Soil consists of decayed plant, organic matter, minerals and rock particles. It can be sandy or clay, nutrient rich or nutrient poor, well-draining or slow to filter. Knowing what you have in your garden--and how to make it fertile--is vital to growing healthy plants. Clay is a heavy, clumpy and hard soil that feels sticky or plastic-like when wet. It holds water and nutrients well, but it can be so dense that it is difficult for plants' roots to grow. Clay soil usually drains poorly, meaning water will take a long time to filter through it. This can lead to runoff and water waste. If you plan to garden in clay soil, you'll need to dig in mulch, compost, sand and peat moss to lighten the soil. Sandy soil is highly porous. It dries out very quickly, with the water filtering straight through it. This can make it difficult for plant roots to absorb adequate moisture. This light soil also has very low organic content, which means plants grown in sand will need more frequent fertilization. To increase your sandy soil's ability to retain moisture and nutrients, dig in top soil, peat moss, compost or leaf mold. Silty soil is made up of minerals (mainly quartz) and tiny pieces of organic material. It is very fertile. Frequently found on floodplains, silt is what makes mud. While it contains many nutrients, it crumbles and turns to dust, and can be easily blown away by winds. Silty soil is smooth and looks like dark sand when it is dry. It can be amended for gardens by adding organic material such as compost or well-rotted manure to give it a more solid texture. Gardeners consider loam the best soil. It's the ideal mixture of clay, silt and sand. Loam drains well, retains nutrients and is sturdy enough to really anchor a plant. It is easy for both water and air to reach roots in loamy soil. Almost any plant will grow in loam. According to Rain.org, loam typically is 25 to 50 percent sand, 30 to 50 percent silt and 10 to 30 percent clay. Peat is a soil containing partially decayed plant matter, and it has a very high fiber content. Water moves slowly through the light and soft material, but it is not as bulky as clay soil. It does not have a lot of nutrients, so gardeners with peat soil will need to amend it with fertilizers, compost and well-rotted manure. Because peat has a high-acid level (which slows the decomposition of the plant matter), the soil pH should be tested before planting. The Arctic tundra circles the North Pole and continues down to taiga (the boreal forest covering Canada, Russia, Alaska and other northern areas). It is essentially a very cold desert, with a growing season of only 50 to 60 days. The soil of the tundra is formed slowly and given nutrients by the melting snow. This top layer of soil is very shallow; below it is the permafrost. According to the University of California Museum of Paleontology, there are about 1,700 plants, all with shallow root systems, that can grow in this soil. Most are sedges, small shrubs, liverworts, lichens, grasses and some flowers. If your soil has an alkaline pH, is light brown and contains many stones, it most likely is chalky soil. Chalky soil dries out quickly in the summer and, according to European Agricultural Investment Services, it does not retain trace elements such as iron and manganese. This leads to plants with poor growth and yellowing leaves. To amend chalky soil, regular additions of fertilizers and soil nutrients will be needed. Frequent soil tests will ensure proper nutrition. Purdue University: What is Loam? Vermont Gardens: What is Peat?